Today my 12 year old daughter and I had to pop up to our local shopping center. It was fairly crowded, people walking towards us and on either side, continuously. I turned around to see what she was looking at. What I saw stopped me dead in my tracks. Frozen, in that moment. I was so lost for words, it took my breath away. I could have just cried it was so beautiful. What we were looking at were the backs of two elderly people. A couple, both around 80-ish, shuffling along, holding hands. Not something you see every day. Cringe worthy I know!!! Further consolidated by the eye roll my daughter gave me. But truthfully, I have only ever dreamed of a love like that. I regret not taking a picture of them. I could have captured that moment for all eternity. For the rest of today so many things have rolled around inside my head. Why do some people find that kind of love and others spend their entire lives looking for it and never come close?? Why do some loves last a lifetime and others barely see the light of next week??? Perhaps some people are just luckier than others. Divine intervention maybe. Questions I may never know the answers too. What I do know is this. Some people really do spend their whole lives together, and for that, they are truly blessed. More likely that one or both had difficulty with walking or balance and needed help. Guess I’m a cynic. True love is the sensation of wholeness unhindered by the passing of time. I can’t help but wonder, if I would have been so touched by them, if I had that kind of love. I guess I’ll never know. The only way you will never know is if you stop looking. I am in Melbourne, Australia. It isn’t something you see here very often either. Sorry I got cut of for some reason must have bumped a key. Anyways, you could pass down any road or park and see all the old couples holding hands, reading together on the benches, playing with their grandchildren, or even just riding bikes together. Forever is a commitment that is made EVERY.SINGLE.DAY. 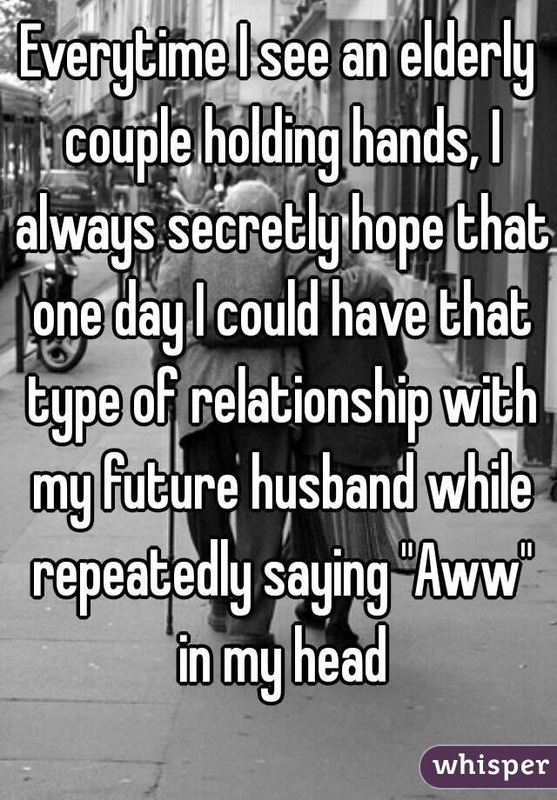 I have an “awww” relationship with my husband, but we’ve only been married 7.5 years. I came over to introduce myself. I left a comment yesterday on Sheila’s (Humor Columnist) blog. Thanks for clicking the like button and liking my comment. Absolutely beautiful to see that kind of love. Jo I hope you can find that love and happiness. You of all the people I know deserve the best. You are a strong beautiful women and a great mother. I just wish I was good enough. Isn’t it wonderful to see. 🙂 I’ve seen the same thing fairly recently. An old couple holding hands and I had to look twice and smile in awe. 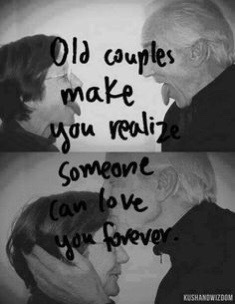 I hope that the other half and I are still holding hands when we’re that old. 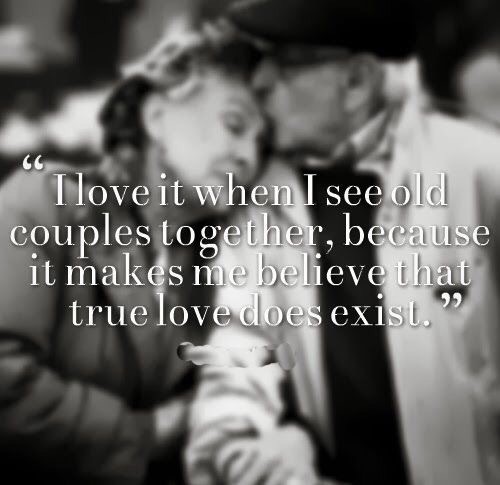 We do it now after 23 years married so I guess there’s hope for us still! 🙂 And I wish the same for you. Never stop dreaming. I have been married for 34 years this July and we still hold hands, especially across tables in restaurants. It is quite common here in Texas. Southern Baptists and Catholics tend to stay married…wrath of God and all that. My husband tells me he loves me every day and kisses me when he leaves. Practice makes perfect. The most romantic event I have ever encountered was at the airport where a man from El Salvador was waiting for his wife. He was in his 40s and so excited. He immigrated to the States years before and had worked hard to get a green card. He hadn’t seen his wife in 7 years but now she could join him and live happily ever after.